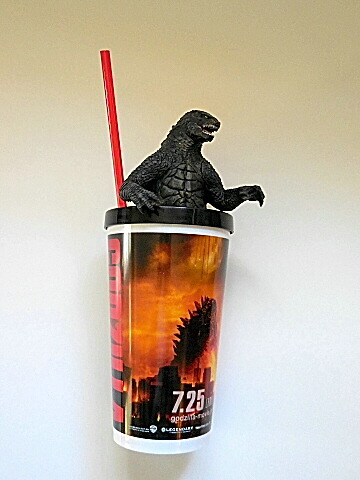 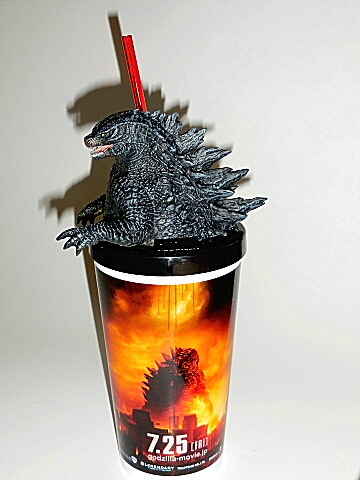 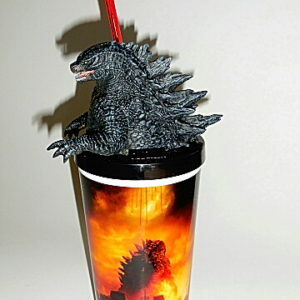 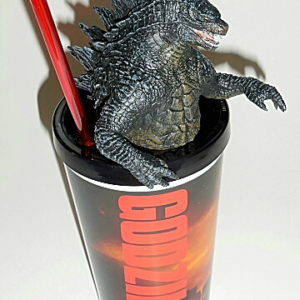 GODZILLA 2014 DRINKING CUP! 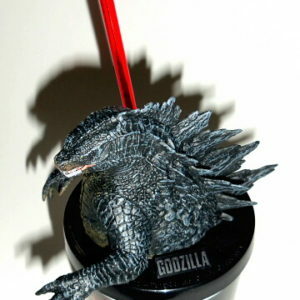 In celebration of the new ACTION PACKED 60th anniversary GODZILLA 2014 Movie, this awesome and unique colorful plastic cup was produced with a great sculpt of the KING OF THE MONSTERS coming out of the lid! 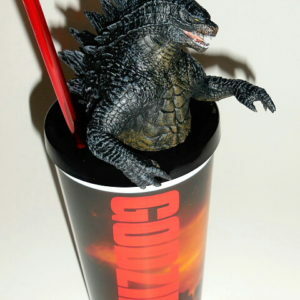 Godzilla looks very angry and is made of solid vinyl. 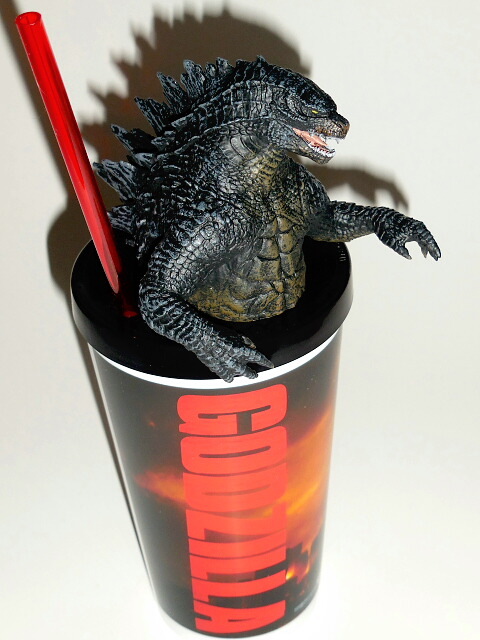 ONLY AVAILABLE AT SOME TOHO THEATERS SHOWING THE NEW MOVIE IN JAPAN WITH THE RELEASE DATE OF 7/25/14. 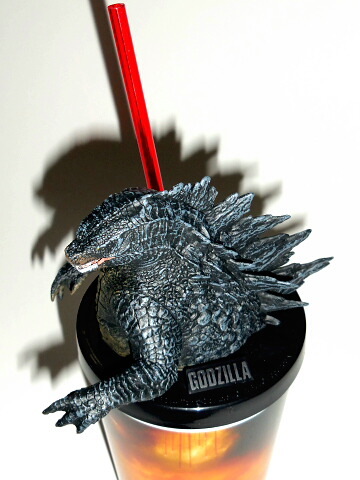 This cool cup and figure are approximately 9 ½ inches tall. 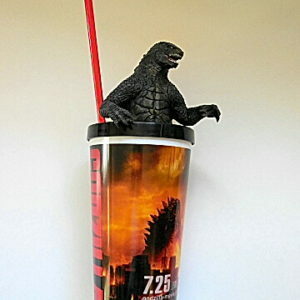 Comes with large heavy plastic drinking straw. 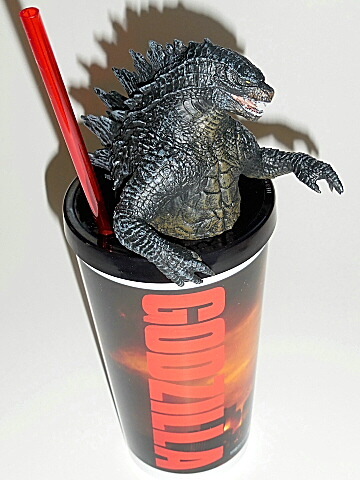 TAKE A SIP WITH THE KING!